The James Bond smartphone, otherwise known as the latest James Bond smartphone, will be arriving on AT&T on Friday, November 2. The Xperia TL will be offered for a low price of $99 but that needs to come with a new two-year contract with the US wireless carrier. Featured in the upcoming James Bond film “Skyfall”, the Xperia TL has had quite its fair share of buzz around it. That doesn’t mean that the attention is not warranted though as the smartphone also offers a very respectable set of specifications. Headlining the set of hardware specifications of the Xperia TL is its dual-core 1.5GHz processor based on Qualcomm’s Krait core. That CPU is partnered to an Adreno 225 GPU on a Qualcomm MSM8960 Snapdragon chipset which comes with Android 4.0.4 Ice Cream Sandwich. There’s no word yet if this smartphone will be getting Android 4.1 Jelly Bean but being a recent addition to the Xperia family, it will most likely will. The smartphone comes with a 720p (1,280 x 720 pixels) 4.55-inch screen and 1GB or RAM. Onboard storage is at 16GB but that can be expanded via a microSD card that can be up to 32GB in size. The Xperia TL features two cameras with the rear being a 13-megapixel unit that is equipped with autofocus, touch focus, LED flash, geo-tagging, face detection, and image stabilization. That camera can capture 1080p Full HD videos at 30 frames per second. The front camera is a 1.3-megapixel unit that can capture 720p HD video at 30 frames per second. The AT&T Xperia TL will work on the 700 MHz Class 17 – 1700 – 2100 LTE network of the wireless carrier. The Xperia TL weighs 148 grams with a chassis measuring 129.4 x 67.3 x 9.4 mm that carries a 1,850mAh lithium ion battery. Connectivity is taken care of via near field communication, DLNA, Bluetooth 3.1, microUSB 2.0 (MHL) and of course Wi-Fi with Wi-Fi hotspot capability. According to AT&T, the new smartphone comes preloaded with exclusive Skyfall content. Read after the break for the full AT&T Xperia TL announcement. Beginning Nov. 2, AT&T will give everyday people the chance to live like James Bond with the launch of the Sony Xperia™ TL for $99.99 with a two-year agreement. Featured in the upcoming 007 film, Skyfall, Xperia TL features Sony’s best HD capture and viewing experiences and the ability to share content across multiple devices through One-touch connectivity with near field communication (NFC). A look at Xperia TL’s features in action is available in this video. The Xperia TL’s 13-megapixel primary camera brings even the smallest of details to life. This high resolution fast capture camera takes quality images swiftly with its quick launch feature, going from standby mode (sleep) to first shot in just 1.5 seconds, making sure life’s unexpected moments are not missed. Plus, both the rear and front-facing cameras deliver HD recording capabilities for vivid video capture on the go. 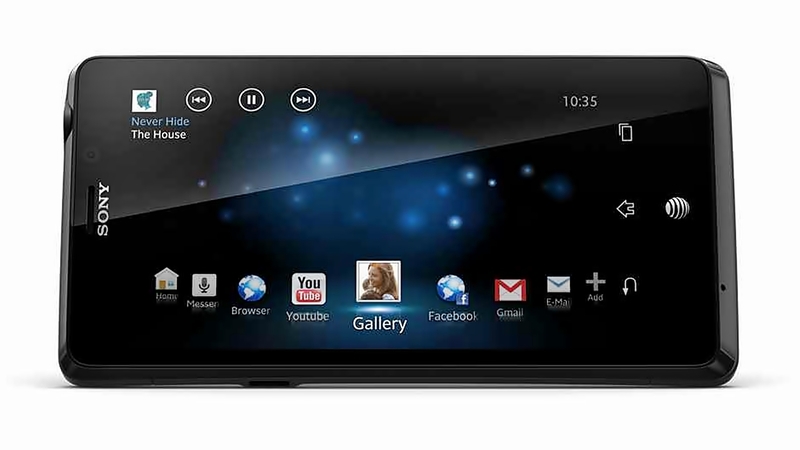 Xperia TL offers Sony’s best HD viewing on a smartphone with a superb 4.6-inch HD Reality Display (1280 x 720), powered by the Mobile BRAVIA® Engine for razor sharp clarity and brilliance. The viewing experience on Xperia TL is accentuated by a stylish, sleek form factor that emphasizes the display. For those looking to take their content from their smartphone screen to the TV screen, Xperia TL connects through HDMI with MHL support or wirelessly through DLNA. To make enjoying content across devices even easier, Xperia TL supports One-touch connectivity with NFC. Now, you can conveniently and instantaneously enjoy your music and photos across an array of NFC enabled devices by simply touching one to another to establish a wireless connection without a cumbersome pairing process. To get started with the One-touch experience, Xperia TL comes with one Xperia SmartTag in the box. Using NFC technology, Xperia SmartTags let you perform a variety of customizable functions for different locations and situations. Featured in the upcoming James Bond cinema release Skyfall, Xperia TL will be used in the film by 007 himself. As the official Bond phone, it will come preloaded with exclusive Bond content which includes behind the scenes footage, interviews, clips, wallpapers, ring tones, and more. AT&T customers have access to the nation’s largest 4G network**, covering 275 million people. AT&T has two 4G networks that work together for customers, LTE and HSPA+ with enhanced backhaul. That means AT&T customers are able to enjoy a widespread, ultra-fast and consistent 4G experience on their compatible device as they move in and out of LTE areas. With other carriers, when you travel outside of their LTE coverage area, you may be on a much slower 3G network.